Hospitality is something very near and dear to my heart. I love being a hostess and making people feel welcome! It brings me such joy. Lately I've been discovering different ways to show hospitality to others even when you're not hosting someone or throwing a party. 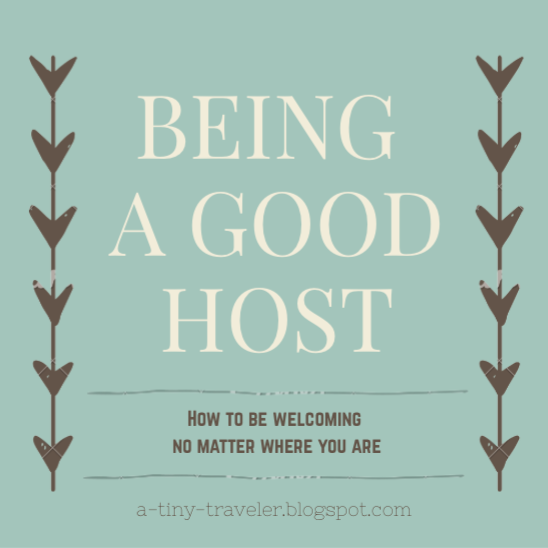 Today I'd like to share with you a few ways to be hospitable, not matter where you are! Always say hello with a smile. When you're at a coffee shop or going for a walk and someone walks by and looks at you, I think it's important to say hello, or at least smile at them. Have you ever been greeted politely by a stranger? It feels really nice to know someone took a second out of what they're doing to acknowledge you. In another example, when you invite people over greeting them with a smile lets them know that you're glad they've come to visit. Don't be timid or talk down on your space. When you invite people over, there's nothing more awkward than saying "So... what would you like to do?" or "Are you having a good time? I know my place isn't the nicest..." That just makes people unsure and feel a little awkward. Be proud of your home and let them know you're glad they came! Have things prepared to do and talk about. Sometimes I get worried when friends come over because I'm not sure if they'll have a good time. 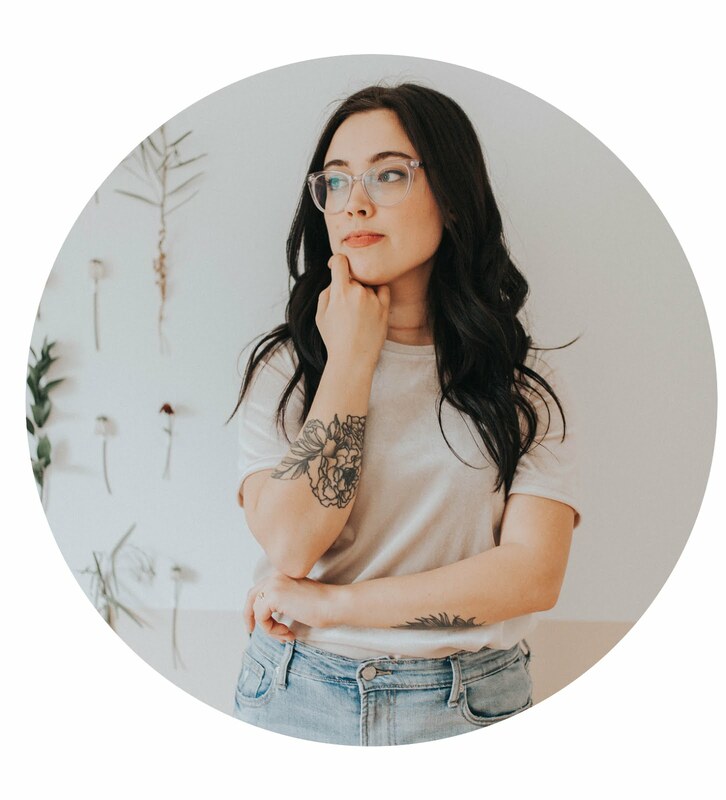 I always want to have a million options and tricks up my sleeve, but I've learned that if you want your guests to feel comfortable, you have to feel comfortable. Have a plan for the evening and just enjoy your time with your guests! 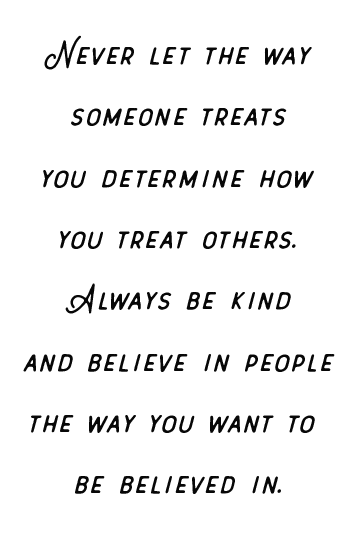 Try to be selfless. Chances are, when you go out you'll run into people. Let someone ahead of you in line if you're still undecided. Hold the door for someone walking behind you. Pay for the car's order behind you in the drive thru. Being hospitable isn't just about making people feel welcome in your home. It's about making people feel welcomed in life. I love all these tips. I can definitely relate to number 3. I really love having people over and throwing parties for people as well, but I am always worried if people are having a good time. Love these!! Just wrote about hospitality last week, such a grace gift to others. Yours tips are spot on. Really, really great tips! It's important to remember that you don't have to be rich or have a mansion in order to be hospitable! So true Rachel! You can be hospitable anywhere! Thank you so much! I'll have to check out your post too! That's something I get caught up in too. It can be a huge distraction from actually enjoying the evening! can YOU be my house guest?! This is awesome Natalie! I have done a few of these particularly #1. And I may have been guilty on the negative side of #2. So thanks for the encouragement in this area. A smile is everything. Thank you for sharing!! Awww... I love this. You're right that sometimes it's easier to be hospitable at home than it is just out and about in daily life.